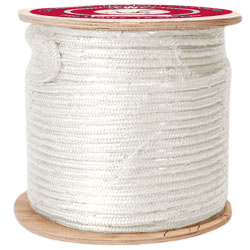 CWC double braid polyester pulling rope offers high strength, low stretch and torque-free construction. Factory spliced eyes at each end. Urethane coating available.